With permission, Sciblogs is re-publishing some of the blog posts here, including Siouxsie Wiles‘ reflections water bacteria and health. *Animalcules is the name that Antonie van Leeuwenhoek, a Dutch draper, gave the organisms he saw when he first looked at a drop of pond water using one of his handcrafted microscopes in the 1670’s. When I think back to my childhood and the body of water that I identify with most, it’s the swimming pool we were lucky enough to have in our back garden. I remember the excitement of watching it being built, and the hours and hours my brother and I spent swimming in it. I grew up in Johannesburg, a large South African city over 1,700 metres above sea level. A trip to the beach meant a 7 to 8-hour car ride to Durban, usually done overnight, presumably to minimise the amount of time my parents had to listen to my brother and I bickering. Hence the swimming pool. In my teens, my family moved to the east coast of Yorkshire in the UK. Trips to the beach were much closer now, but I never really took to the cold grey salty sea. Too busy selfishly pining for our swimming pool. It’s taken moving to the other side of the world for me to properly connect with natural bodies of water. It’s here in Aotearoa New Zealand that I’ve come to love the little spot near Henderson where I was shown the world’s only known species of bioluminescent freshwater limpet. Latia produces a glowing mucus when disturbed, probably to startle or distract potential predators. This country also has an abundance of streams that provide a habitat for all the small flying insects that our spellbinding glow worms feed on. Finding such a stream just a short walk from where I work has made me very happy indeed. As well as making us happy, these streams can also make us very sick. 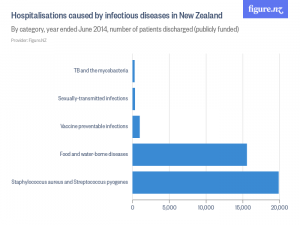 In 2014, water and food-borne infections were responsible for 15,582 hospitalisations and 62 deaths in New Zealand. Organisms like Campylobacter jejuni, Giardia intestinalis, Salmonella, Yersinia, Cryptosporidium, toxin-producing Escherichia coli, rotavirus, norovirus, and hepatitis A. Some of these organisms are found in our lakes, rivers and streams; others live in the intestines of humans and animals, and can make their way into our lakes, rivers, streams and even drinking water supplies. That’s what happened in Havelock North in August 2016. More than a third of the town’s residents were struck by campylobacteriosis caused by C. jejuni, a helical-shaped bacterium commonly found in animal faeces. People with campylobacteriosis can experience a week of cramping abdominal pain and watery or bloody diarrhoea, as well as fever, nausea, and vomiting. For some, there can be long-term consequences, including Guillain–Barré syndrome (in which the immune system damages the nerves that join the spinal cord and brain to the rest of the body), reactive arthritis, and irritable bowel disease. The Havelock North Campylobacter outbreak was the largest we’ve ever had in New Zealand; an estimated 5,530 people had symptoms of campylobacteriosis, 45 ended up being hospitalised, and two elderly people died. Somehow the town’s water supply had become contaminated with C. jejuni from sheep grazing in a nearby paddock. Since moving to New Zealand, I’ve had first-hand experience, not of campylobacteriosis, but of giardiasis caused by the parasite G. intestinalis. In fact, I’ve had it three times! Giardiasis is a notifiable disease in New Zealand so three times I’ve had a letter from the Ministry of Health admonishing me for catching this parasite and detailing how not to spread it to other people (basically wash your hands really well, and don’t swim if you have diarrhoea…). In my case, I don’t think I caught it from swimming in a lake or river, but from drinking (apparently filtered) tank water. In 2016, 1,617 people had giardiasis in New Zealand. According to Wikipedia, people infected with Giardia can remain symptom-free or end up with weeks of diarrhoea, nausea and abdominal pain. Symptoms are caused by Giardia infecting the cells of the intestine and blocking nutrient absorption. Apparently, some people can also become either temporarily or permanently lactose intolerant as a result! 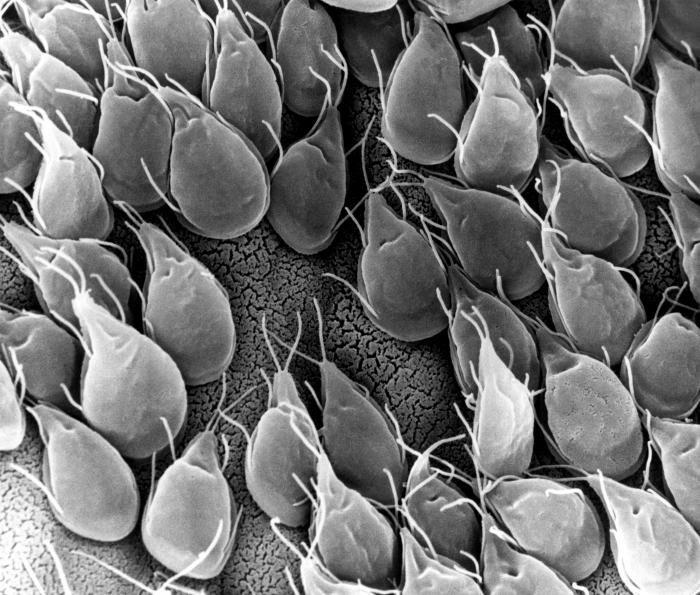 Giardia parasites attached to the intestinal cells of a gerbil. By Dr. Stan Erlandsen (1988) – Public Health Image Library (PHIL). It turns out my Giardia-infested stool samples may have contributed to a scientific paper. Juan Garcia-R and colleagueswanted to see how genetically variable the Giardia parasites are here compared to other countries, so various diagnostic labs around the country sent them fresh faecal samples from some (13%) of the symptomatic people with notified giardiasis cases between 2009 and 2015. For comparison, they also got faecal samples from farms, zoos, animal hospitals, and urban wildlife. 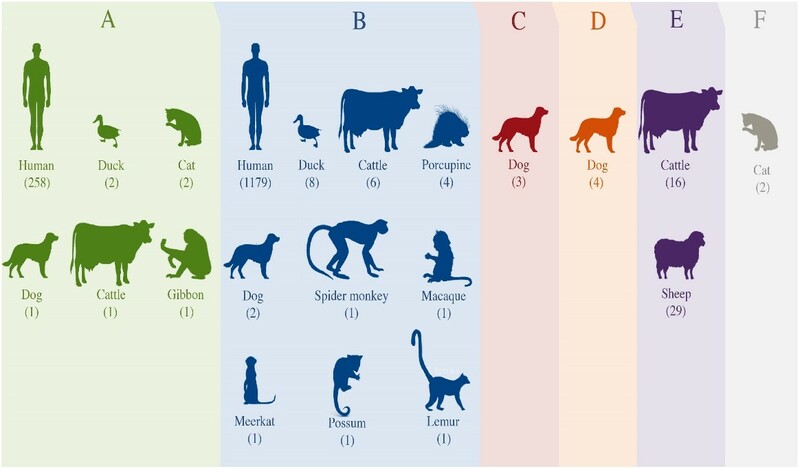 I wonder if I had the same Giardia parasite as the gibbon or the meerkat?! Range of hosts and assemblages (A to F) of Giardia intestinalis found in New Zealand. The number of samples by hosts identified within each assemblage is in brackets. Garcia–R JC, et al. (2017). PLoS Negl Trop Dis 11(7): e0005736. Dr Siouxsie Wiles is Deputy Director (Outreach and Public Engagement) of Te Pūnaha Matatini. She describes herself as a microbiologist and bioluminescence enthusiast. 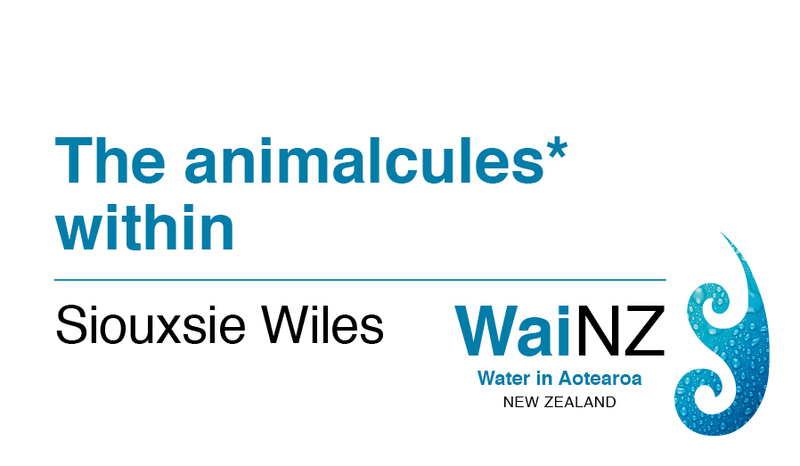 As Head of the Bioluminescent Superbugs Lab at the University of Auckland, Siouxsie combines her twin passions to understand the interplay between the environment and infectious diseases, and to discover new antibiotics. In April 2017, she published her first book, ‘Antibiotic resistance: the end of modern medicine?’, as part of Bridget Williams Books’ BWB Texts series. Kia ora, Aotearoa. We’ve asked leading environmental, social and health researchers to share their personal and professional perspectives about the state of our water and what water means to us as New Zealanders. Follow their blogs right here at tepunhahamatatini.ac.nz and across social media with #WaiNZ.